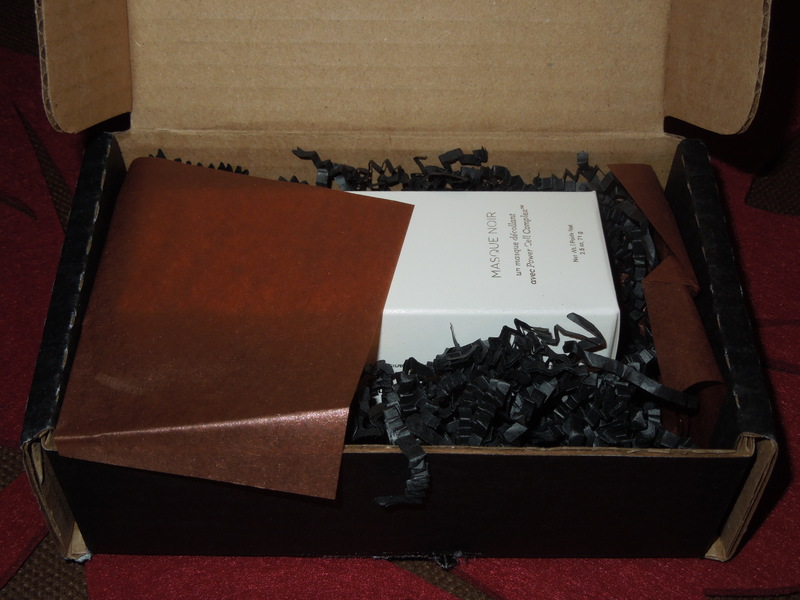 Julep: Maven Box October 2013 – The Rebel Collection! 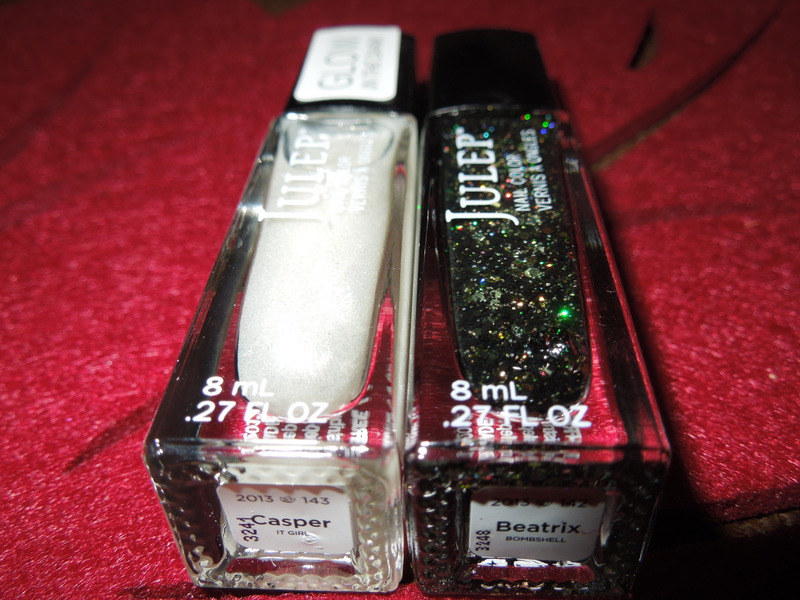 Julep’s October boxes feature their new Rebel set which is billed as “a collection to light up your dark side.” Well, my dark side must need an LED because I fell in love with nearly everything in this set, so for the first time since I’ve been a maven I did the full upgrade and got both add-ons, so you folks get to look at all the goods. 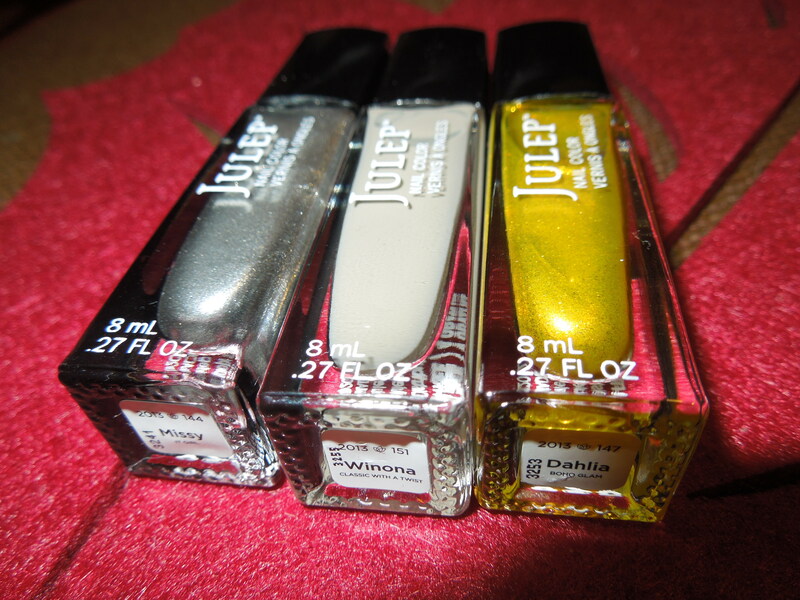 If you want more info on Julep’s maven subscription service and a coupon code, skip down below, but now to the review. 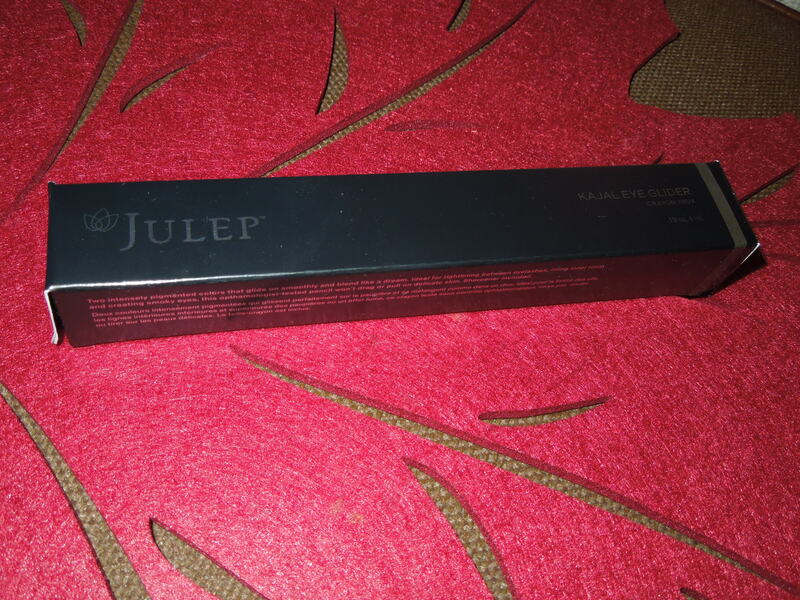 Julep ran into some packaging issues and their Mask Noir was left out of the upgrade boxes, so it shipped out asap in its own little box. Description: A peel-off mask of gentle kaolin clay and black volcanic ash. This was one of my must have items from the box. I have a great charcoal mask from Origins, but it isn’t peel-off and I can’t tell you how messy and awful it is to remove. My white bathroom sink ends up looking like a swamp, so you can understand why I am so excited to see a mask that can be peeled off. I’m going to use this along with my Julep foot masks and have a spa day. 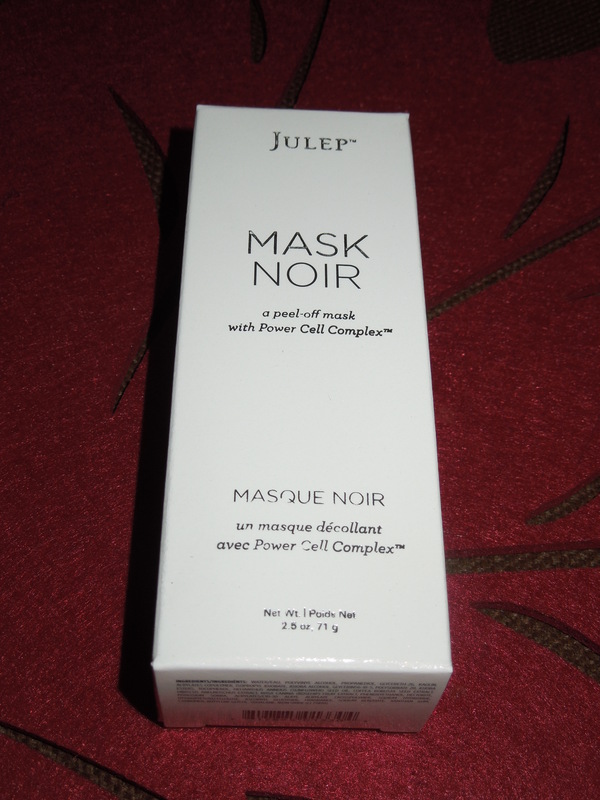 I was surprised Julep opted to feature this as the main beauty Item in its boxes (instead of the more compelling mask). This liner just seems pretty boring and it’s not waterproof which is a requirement for me if I don’t want to do my raccoon impression approximately 5 minutes after application. I prefer gel liners and most people I know tend to prefer liquid/gel/cream. I think Julep is better served by focusing on more unique beauty and makeup items. There are a million eye pencils, and this one doesn’t seem particularly special. I do think the fact that it’s packaged with two different colors (one on each end) and with a sharpener makes it a bit nicer than an average liner. I’ll be packaging it up with some other makeup to give as a gift. This color is an uber shiny silver. It’s not bad, but not something I would use for a full manicure. It would probably go great as a fun tip on a French manicure or with some cute nail art. Since my polish collection is growing by leaps and bounds, I’m going to gift this to someone who will use it far more than I will. This shade is one of the reasons I love the maven boxes. They force me to both step out of my comfort zone and not to ignore the “boring” shades. It’s easy for me to grab something fun and interesting, but everyone needs a basic. This is a great neutral that will work with so many different fun topcoats. 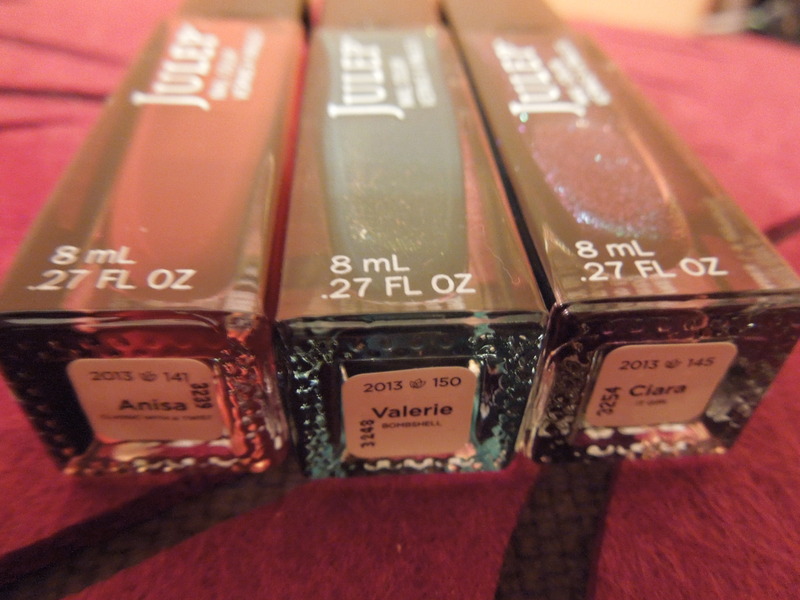 I can’t wait to try it out with Julep’s Paris. This shade is just a pure golden sparkle. I think it would work great paired with a simple dress for holiday and New Year’s parties. This is a lovely shade of red that I think will complement a lot of skin tones. I think I’m going to get a lot of use out of it come Christmas time. This is a pretty color that seems to walk the line between teal and emerald. Somehow this polish manages to be both vampy and ethereal. It’s a beautiful color and very unique. It’s my favorite item from this collection and a must have for a Julep maven. 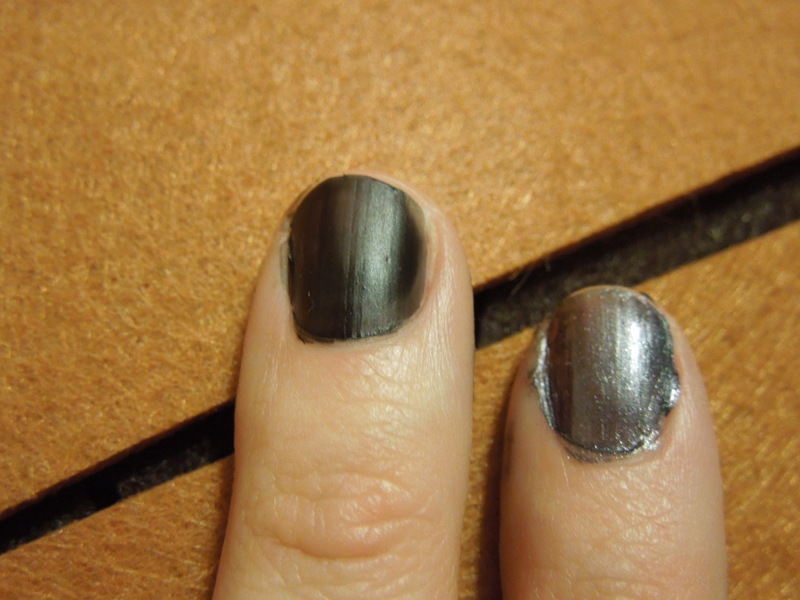 This polish has a gun-metal feel to it, which I think is a great edgy alternative to black nails which for some of us pale girls can read a bit goth. The unique latex finish on this polish makes it edgy without trying too hard. I recommend wearing without a topcoat for the full effect. 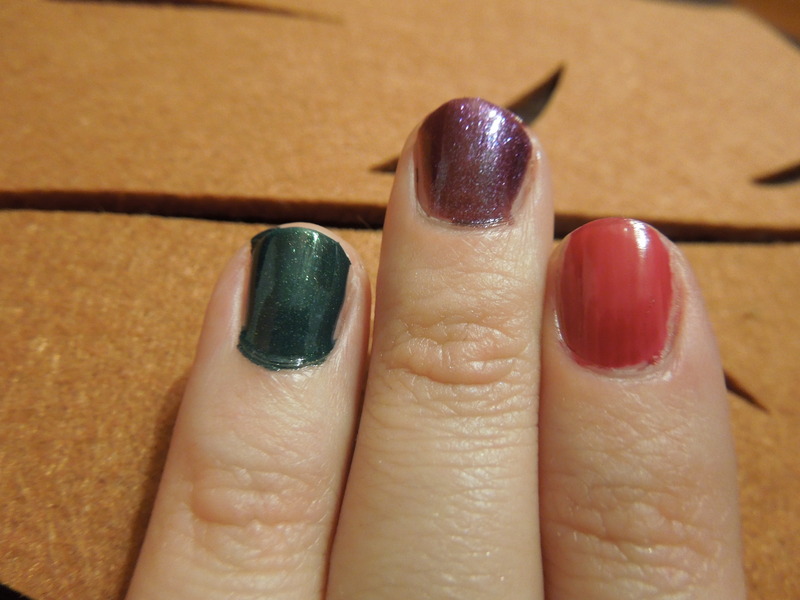 Just swatching this one made me feel a little badass so I can’t wait to try a full manicure. The second I saw the name on this all I could think of was Kendra the vampire slayer from Buffy and I think this color would have suited her. Of all the shades in this collection, this one is the most difficult to discern from just looking at the bottle. 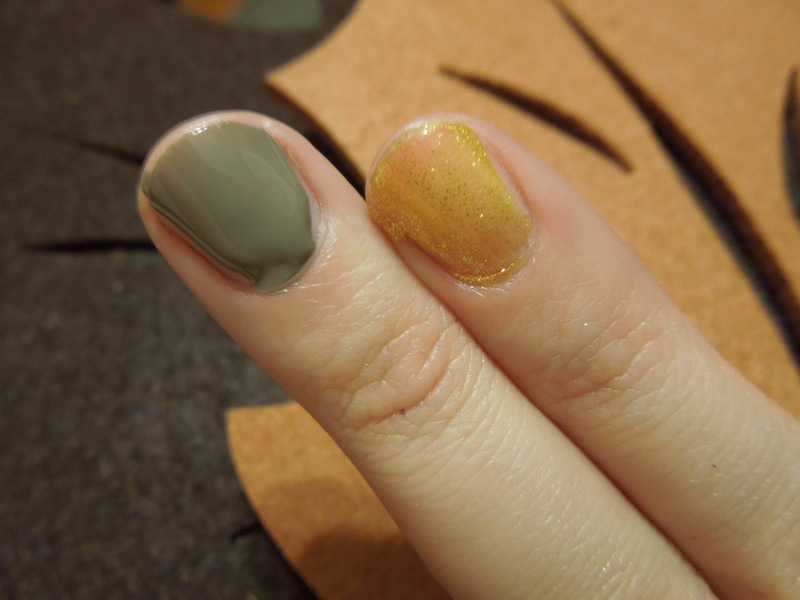 The olive coloring makes it a dark neutral alternative for the go to black or gun-metal nails. Description: Glow-in-the-dark shimmer. Can be worn alone or–better yet–on top of color. A shimmery glow in the dark polish? How could I possibly resist. 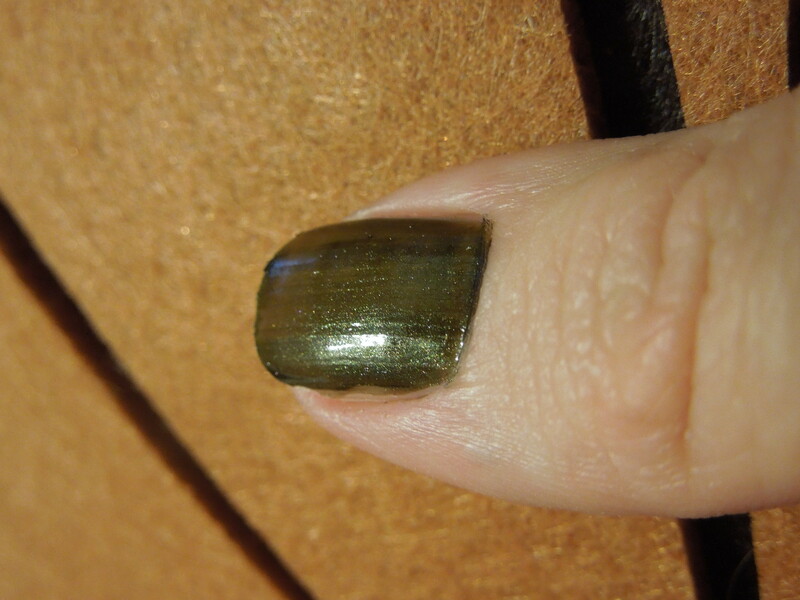 I didn’t swatch this since I figured it wouldn’t show up in the photos anyway, but the shimmer on it is actually quite lovely so even if doesn’t glow in the dark it’s still a damn pretty topcoat. This was one of the two add on polish options. This was the other add-on to the maven boxes. If you’re like me and you think nail art is cool, but when you attempt it you just look like a toddler who got into the finger paints, then you should pick up Beatrix. I’ve swatched it over Dahlia, but I think it will look amazing over some pale crème polishes in whites, blush pinks, greys and beiges. People will think you spent hours on your nails when all you did was add this topcoat. 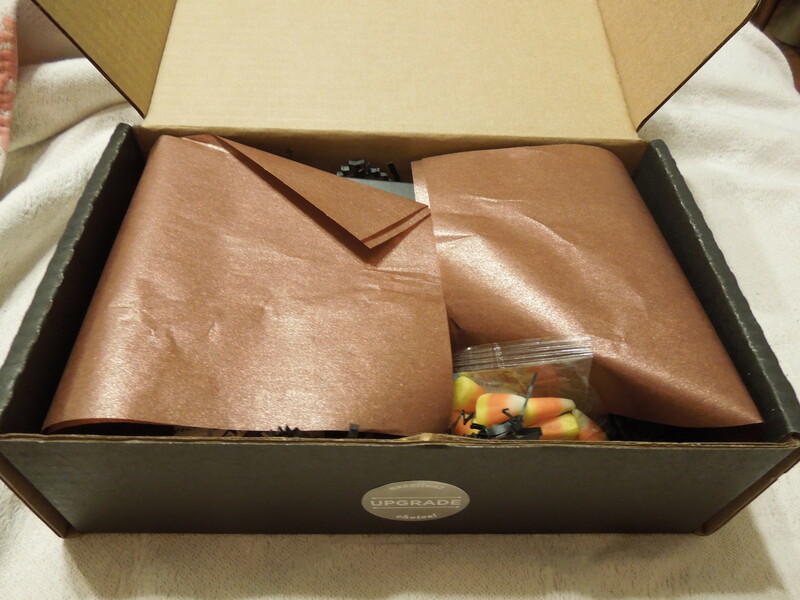 Because who could have a Halloween box without candy corn? 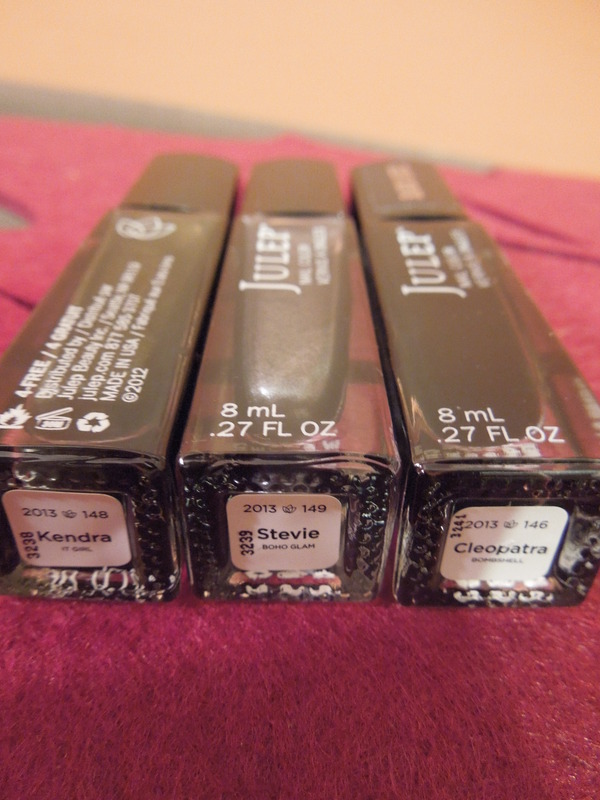 I am thrilled with this collection and it’s my favorite since joining Julep. It’s dark steampunk with a hint of Halloween that’s just perfectly me. Since my birthday is in October I was able to treat myself to the full collection without feeling guilty. The retail value of this collection is $194.00 and with the Maven discount it would be $145.57. As part of the monthly maven subscription I was able to buy it all for $69.52. This included 10 products I will use and 2 products I will be giving as gifts. What did you think of the rebel collection? Did it appeal to your dark side?